After yesterday’s loss in the Towns Cup Semi-Final a brilliant season is now at an end. The Senior Men had an exceptionally positive year winning over twenty matches and losing only five. They finished second in Division 1B, won the Midland League and got as far as the Towns Cup Semi-Final. 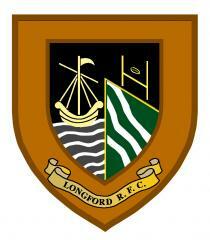 We all have our fingers crossed that results in the AIL will work out so that Longford are promoted to Division 1A next Saturday evning. There are a tremendous number of connotations but the simplest explanation is that if Enniscorthy, Seapoint and Tullamore win, then we go up! A date will be announced soon for the End of Season Senior Men’s/Women’s Awards and the Annual Derek Belton XV v Derek Bannon XV Memorial Match. Thank you to our brilliant travelling support all season, you have been the talk of the Leinster League due to your great numbers and commitment over the whole season. Thank you also to the Longford Leader and Shannonside radio for the very positive coverage. Longford knew their season would be over if they didn’t come out fighting. Right from the kick off they were a different team putting severe pressure on the home team forcing them to give away several penalties. Longford were now only a few metres out and with Suttonians now down to 14 for persistent fouls they were determined to get back into the game. The forwards kept it tight and it wasn’t long before Shauna Cahill was over for a great team try which Megan Banahan converted 29 to 12. Rebecca Duffy supported by Fidelma Fallon and Nicola Farrell made a great break and sucked in the defence. The ball went out to out half Megan Banahan who broke through a gap to run in for a try under the posts which she converted herself. Longford were again on the attack with Emma Dardis controlling things from scrum half. The Longford backs of Rebecca O’Hara, Megan Jobe, Natalie O Reilly and Anita walker were now finding holes in the Suttonians defence. The home team again were giving away penalties under the pressure and having one just in front of the post Longford chose to kick it. Megan Banahan was again on target to bring Longford to within 7 points with 10 minutes left. Suttonians again worked their way up the field and forced a penalty 5 metres out which they chose to kick to the corner, Longford were now down to 14 after a high tackle. From the line out the home team mauled the ball close to the line before a player broke away to score, which went unconverted. Longford were not giving up yet and again put some great moves together with Dora Ledwith, Michelle Farrell and Maria Kelliher making ground they were again close to the try line. Irene Murtagh took it on and got in for a try which Megan converted to leave 4 points between the sides with only seconds to play. From the kick off Longford retained possession and tried to get in for a try to win the game at the death but good defence from Suttonians forced a knock on and the referee blew the final whistle. The final score was 34 - 30. This was a brilliant come back from a game that looked lost at half time. That ends the season for Longford Ladies but they can be very proud of how far they have come this season and their never say die attitude. The squad has been growing steadily all season with young players coming through. They can now look forward to a break for the summer knowing that there is a very strong base to start from next season.